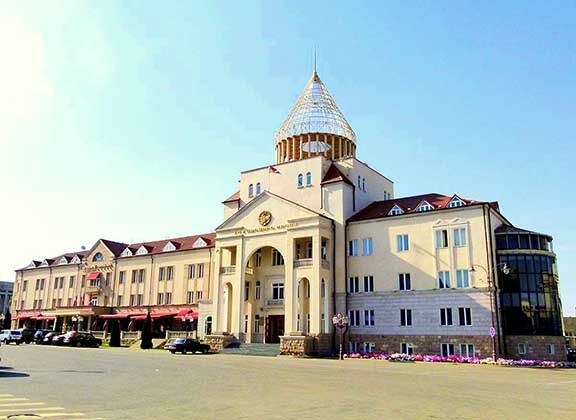 “The inclusion of the two draft resolutions based on Robert Walter’s report ‘Escalation of violence in Nagorno Karabakh and other occupied territories of Azerbaijan’, and Milica Marković’s report ‘Inhabitants of frontier regions of Azerbaijan are deliberately deprived of water’ in the agenda of the Parliamentary Assembly of the Council of Europe (PACE) Winter Session has caused major public concern in Artsakh as well as among the political forces represented in the National Assembly. The Karabakhi side has always been willing to cooperate with international structures; however, we deem unacceptable prejudiced and tendentious reports and the language referred therein. It is obvious that, in violation of the norms and principles of the PACE, aforementioned reports and draft resolutions reflect solely the views of one party to the conflict i. e., Azerbaijan, and ignore the proposals of the Armenian sides as well as the position of the OSCE Minsk Group Co-Chairmanship, the only international mediation structure mandated to deal with the conflict between Azerbaijan and Karabakh. Against the background of the growing tensions along the Line of Contact between the armed forces of Azerbaijan and Karabakh, adoption of resolutions supporting the bellicose stance of Azerbaijan will allow Baku authorities to continually disregard the proposals made by the OSCE Minsk Group Co-Chairs to reduce tension and can also be interpreted by it as a carte blanche to resolve the conflict through the use of force. Any predisposed action, which has not been discussed and agreed in advance with the mandated international mediators, might upset the fragile balance and lead to unleashing a full-scale war.